Last week’s main post was ginormous (no, not the Hentaihaven one), and I remember stating that I would take a small breather because I was exhausted. So here’s my obligatory Christmas post, because I just finished finals and I should definitely be doing this instead of sleeping. I’m honestly too lazy to do something creative so just pretend I said something here that helps transition into the listicle. Christmas music is on another tier of meta. Christmas music is also an excuse to create highly uncreative Christmassy improvs in the piano, which only require stealing the bassline from that Mariah Carey song I forgot the name to and little snippets from famous Christmas songs to truly show your lack of inspiration and drive. Christmas is a dessert and candy goldmine. “You do know that Twitter posts do not count as actual evidence, right?” – A student destroying an entire team in a debate. If two’s a company and three’s a crowd, then eight people in the living room must surely be beyond the scope of language. Having a small group of people pop up at the front porch is fun because we get to have family video-worthy moments when we play group games. My fondest random-family-members-showing-and-playing-a-game-with-us memory was with this game. 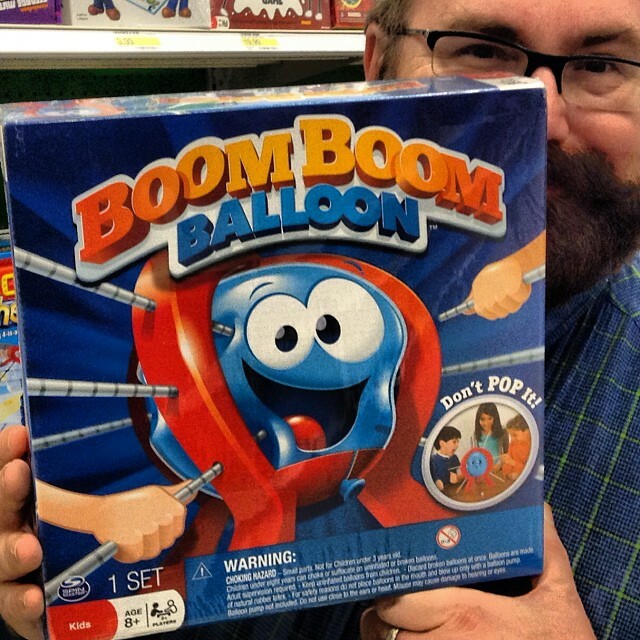 It is one of the few games that’s actually more exciting than what’s on the box, as the pictures cannot fully demonstrate the sheer panic that arises once the balloon starts looking like a deformed testicle. School is out, which means I can finally do things like sit in bed and wonder why break isn’t as awesome as I thought it’d be and attempt to find out what I’m supposed to do. The yearly Christmas party is awesome. There’s a ton of people, food, and the single cousin that I feel okay sitting next to. For the longest time the Enchoseon Family-Friends Christmas party was held in my aunt’s massive house with shiny mahogany floorboards and a humongous Christmas tree in the living room with lots of balloons and a single Wii console that was the lifeblood of our enjoyment of the party. My little brother, the aforementioned cousin, and I would claim the couches immediately after eating a tiny amount of food, enough to give the muscle cells in our fingers the energy required to play Mario Kart 7. Once the grownups invaded and started karoake-ing we’d run around and slide on the floorboards in our socks. However, last year my aunt sold her house and settled into a much, much smaller house. Last year’s Christmas party was crammed into the much, much smaller house and our little trio of Mario Kart’ers just sat on the sofa doing basically nothing the whole time because we couldn’t connect the damn Wii. I forgot how to count to four and Winter break only started four days ago. By the time I go back to school I will probably struggle to write my own name. Vaccines are modern miracles that save lives, don't be a d*ck by going unvaccinated.